Confused by the different kinds of beds and bed types to choose from? View our guide on types of beds, mattress sizes, and types of bed frames to purchase. We’re about to kick off the ultimate guide to helping you pick out the perfect types of beds for your home based on mattress sizes. Out of all the different kinds of beds out there, it can be difficult to choose just one as your absolute favorite. Or even the one that’s the best for you. Luckily, there is help out there, like this article, which will help you understand the options. That can help you decide which one you like the best. 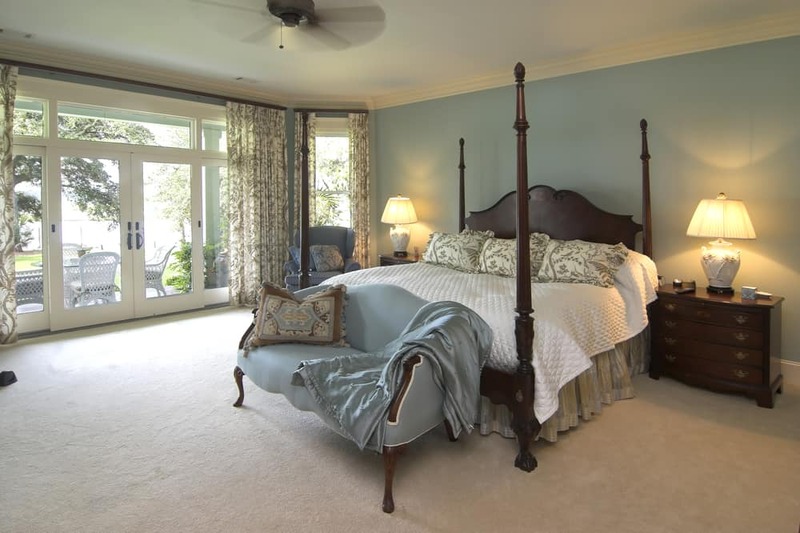 Your master bedroom or any bedroom in your home should be your oasis. 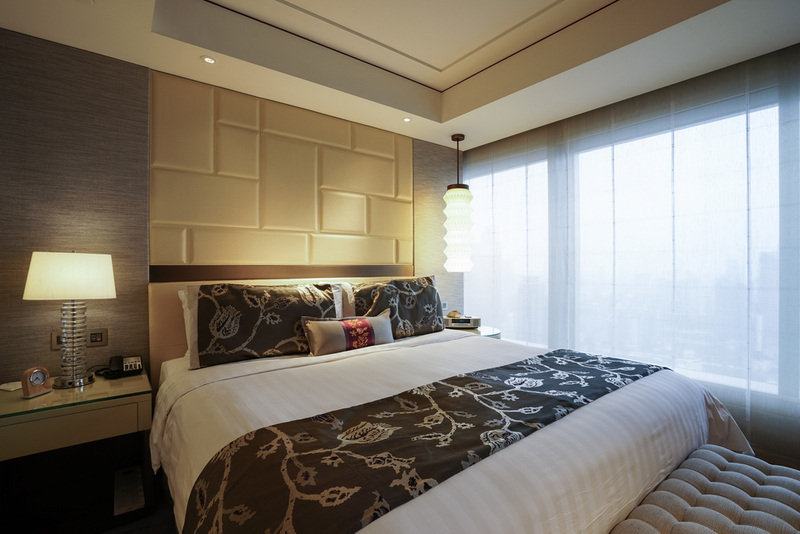 It should be the place you go to escape each night and that’s why you want to have the ideal bed to relax into. This article will look at all of your different options when it comes to choosing that perfect bed. We’ll look at not just the size of bed you may want, but everything you could think of. That includes the style of the bed you want (including the era it may come from). It also includes the materials and even the extra features you may want to consider. Then you can make your choice on the types of beds for your home. The first thing to look at is the size of the bed you’re looking for. For a single child, a twin bed may be sufficient, but it’s rarely going to be enough for a full grown adult. Of course, you have plenty of options above this. From an XL twin to a California king, there’s no shortage of sizes to choose from. 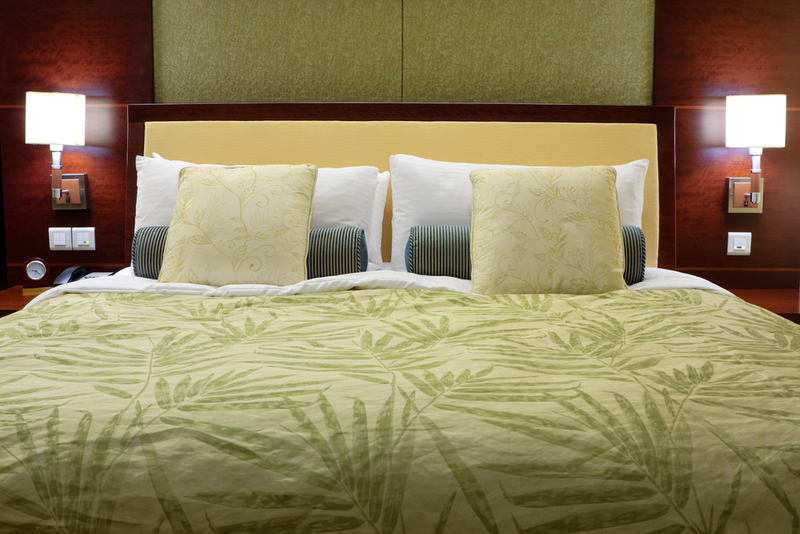 Your style is important to you and it’s what really makes the right bed … well, the right bed. You want something that reflects your style and that’s why we’ve sorted out several different styles to choose from. They go from a contemporary bed with a country theme to a modern bed style. What are the dimensions of a twin size bed? What are the dimensions of a queen size bed? 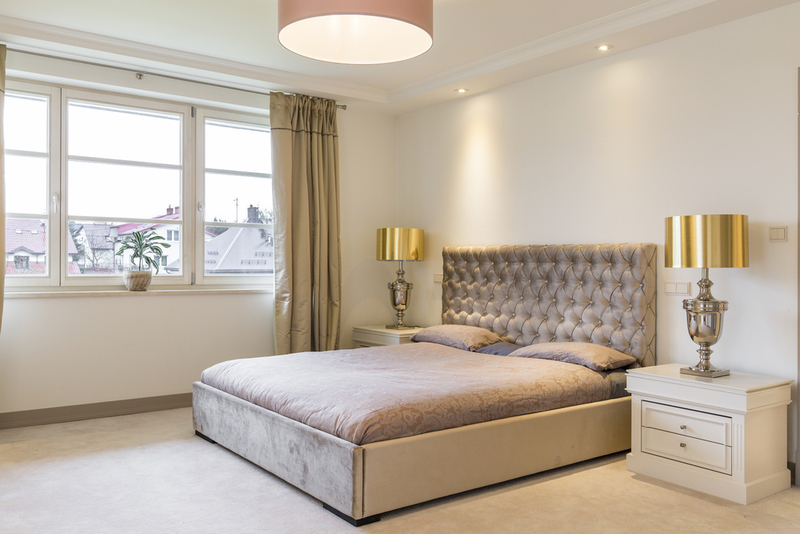 There are plenty of bed size options to explore when choosing the ideal one for your bedroom. Becuase there are several kinds of beds to choose from, we suggest you go to a mattress store and lay on several mattress sizes to find what bed dimensions will fit you and your specific needs. A lot of people ask, how wide is a twin bed? A twin is a rather small bed, at only 39” x 75” but these kinds of beds are good for a child. Some adults can also be comfortable in this size bed, but most will want something a little bit longer (which means working your way down the list a little). As far as the width of the bed this is usually a good pick for the average child or adult. If you need somewhere for people to sleep but don’t have a lot of space this is where you might want to look. The most common bed size on college campuses, the XL Twin dimensions are the same width of the traditional twin but with another 5” to the length (39” x 80”). For taller adults or older children, this can be an excellent choice because of the length, which is the same as the larger beds we’ll get to in a minute. This bed is much narrower than a king or queen, but it’s good for a guest or for children in your home (or in college). Altogether it’s definitely a good choice to put into any bedroom in your house. How wide is a full size bed? Also known as a double, the full size mattress dimensions are 54” x 75”. This means that it’s about 1 ½ times as long as a twin and the same basic length. It used to be the ideal size for a full-size two adult, but most people prefer a larger bed now. Nowadays, a full size bed size is more common for a single adult rather than two of them. But different types of bed sizes are starting to become more popular yet. So, what size is a queen bed? Queen bed measurements are only slightly larger than a full size. 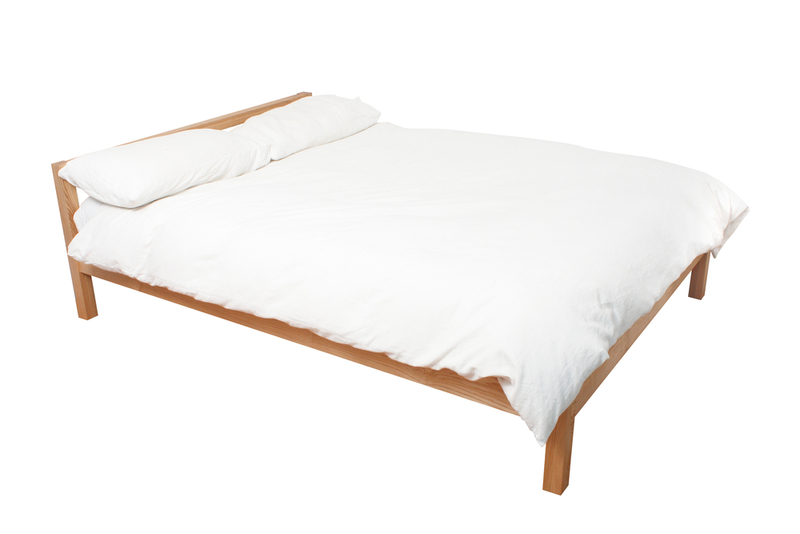 At 60” x 80”, this is one of the most popular bed sizes available. Couples love the size but single people are starting to enjoy these types of beds as well. It’s not too large but also comfortable for people who like to sprawl a little more. The queen size bed measurements of 60 x 80 is the most popular size on the market because it meets many people’s needs. What are the dimensions of a king size bed? At 76” x 80”, the king size bed is the length of the XL twin or queen with an extra 16”. This is the largest size that most people get because it’s actually quite large for couples. It’s also great for those who share their bed with pets. Of course, if you really want to sprawl out there is one size larger than the king (which you may not have thought of). While these kinds of beds are full of luxury, you should remember to plan on spending more if you have your eye on a larger bed. The California king is what you get if you want to have all the space in the world and you have plenty in your bedroom. It’s 72” x 84”, which makes it great for taller people as well as those who want the freedom to really get comfortable. There’s no reason to sacrifice anything at all for this size of bed because there’s more than enough room for you and a partner. The frame of your bed is crucial for its support structure, but what is your bed really made on? 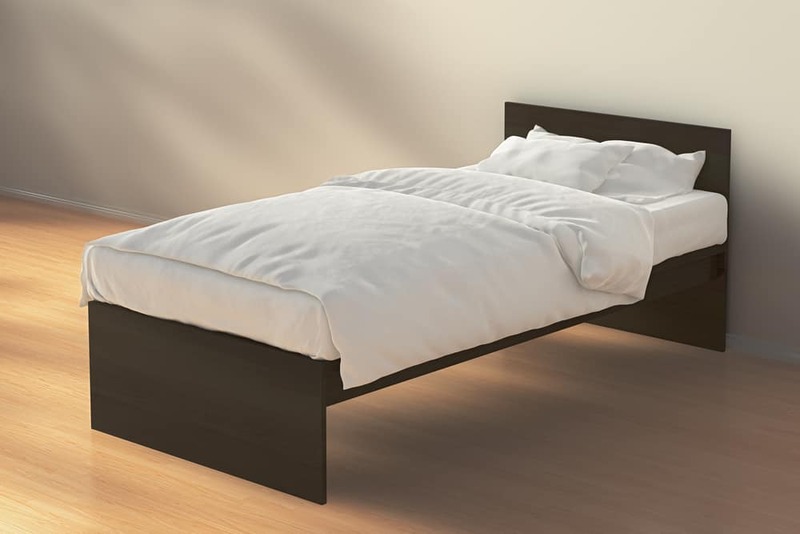 These types of bed frames are extremely important. Depending on the kinds of beds you are putting in your home, a nice bed frame can be the difference between the standard bedroom and one that will WOW your friends. Though they’re generally not as stylish, a white metal bed frame is very durable and conventional. They’re light and they can be made in a wide range of sizes. Not only that, but they can give your entire room a more modern feel because of the design. That means these types of beds are best for those who aren’t as fond of traditional looks. 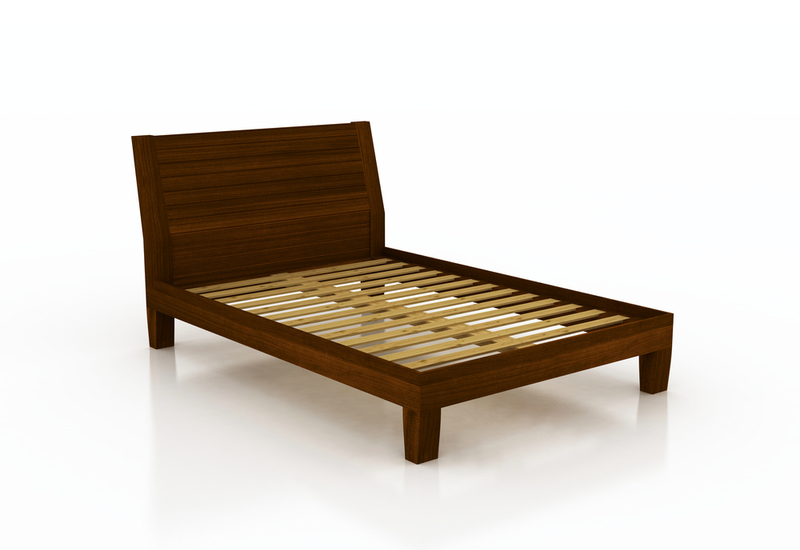 Able to be customized in a range of different ways, wood is one of the most common versions of a bed frame. They can be made simplistic or extravagant. They can be rustic or elegant and they can be a whole lot more as well. 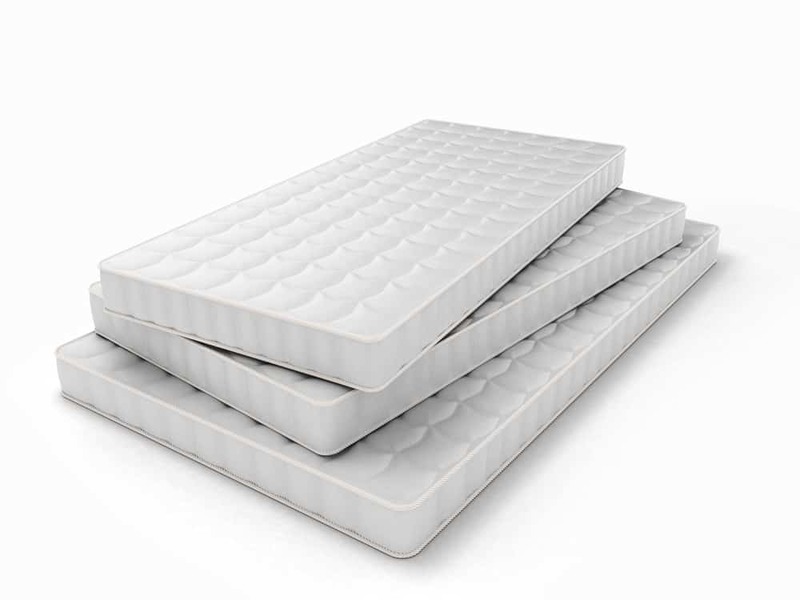 This makes them extremely popular and perfect for any size bed you may need. For those who want sustainable materials, wicker can be a great option and it can be handmade as well. It’s something stylish and still simple and rustic. With these types of beds you’ll have something lightweight but still, water and air tight as well as strong, no matter how big or small you want it to be. These kinds of beds are beautiful and quaint, but not recommended for small children as they sometimes damage easily. These bed types feature a tufted headboard and sometimes footboard as well. The material may be slightly varied but it features something that creates a ‘crushed’ section surrounded by puffy sections. Some have buttons to create crushed sections while others may have lines or anything else to get the basic look. Whether you want a full size, a California king, or anything in between, you can do it with upholstery. These kinds of beds have a modern upscale feel that can really make an impression and look great with all types of blankets or bedding. Wrought iron is stylish but rustic at the same time. It’s a little bit vintage in style because this is more like what old style beds would be made of. They’re more simple than other types of metal (usually) but they may have some decorative aspects. Iron is very heavy, however, so you won’t be moving it around a lot when it’s been placed, especially if you opt for a larger bed. Older looking, these kinds of beds are actually more lightweight but still durable for extended use. Not only that but they are a little unique in that you may not have a headboard or may not have a footboard. They will have a vertical bar or rounded top to the head or footboard (if there is one) and can be found in any size. Who doesn’t love being able to store things in their headboard? With the bookcase style bed you don’t have a problem with that at all. That’s because these types of beds have shelves or boxes that allow you to put books (or anything else) inside of it. When you lay down in one of these types of beds you can reach anything in that bookcase with no problems. Though more common on children’s beds that are twin to double in size, these bookcase beds can be made in any size. There are so many different kinds of beds that it’s impossible to list all of them. The types of beds that are showcased here are a list of the most popular bed types that people choose when shopping. 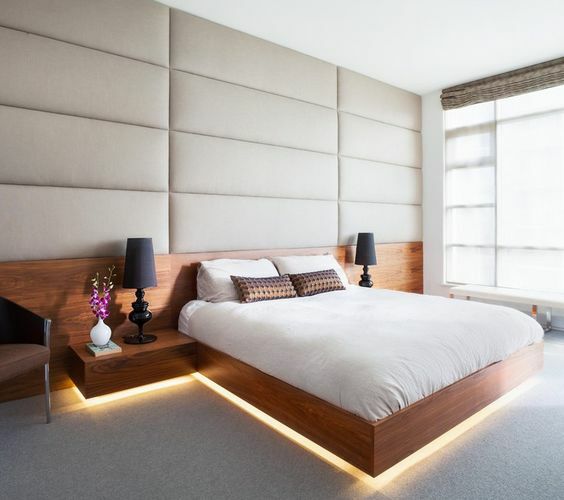 Panels of wood joined together to create a pattern are a way you form a panel bed. It’s usually in the headboard and footboard and you’ll generally find some type of molding to surround the panels. The end result is similar to wainscoting or paneling that you might see on the walls of an older style house and it fits any size bed as well. It can be any color of wood or even any color at all (through painting). As you can see by the image below these types of beds have a wonderfully traditional style. 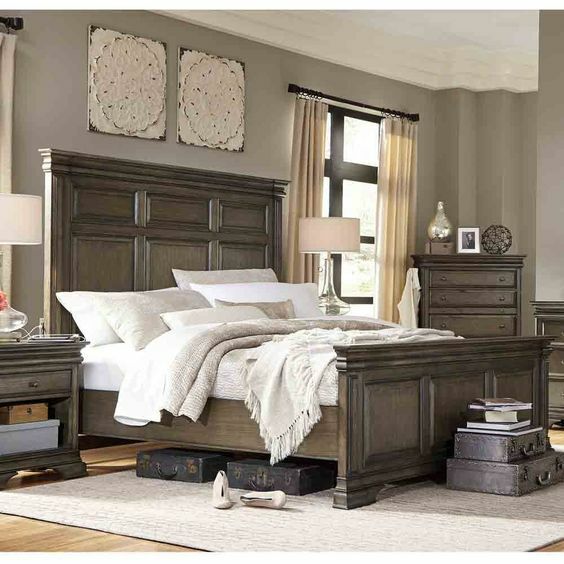 More elegant than many types of beds, this one looks like a traditional sleigh with the curled headboard and footboard. 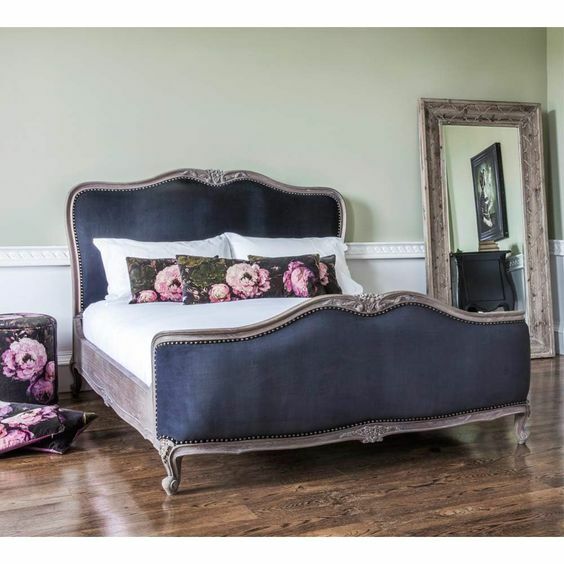 Also called a ‘scroll’ the headboard and footboard of these beds generally is made of solid wood, though it can be made with different types of metal. You’ll also be able to find some of these types of beds that have a steep curl and some with a less defined curl. With these you’re generally going to have a larger bed just because the sleigh style is considered more ‘fancy’ so it might be a queen or larger, though you can get smaller beds as well. These types of beds are definitely unique, in a different way from folding beds. With this you have a large shelving or other storage unit that has a bed in the center. When you’re using it you can fold down the bed. 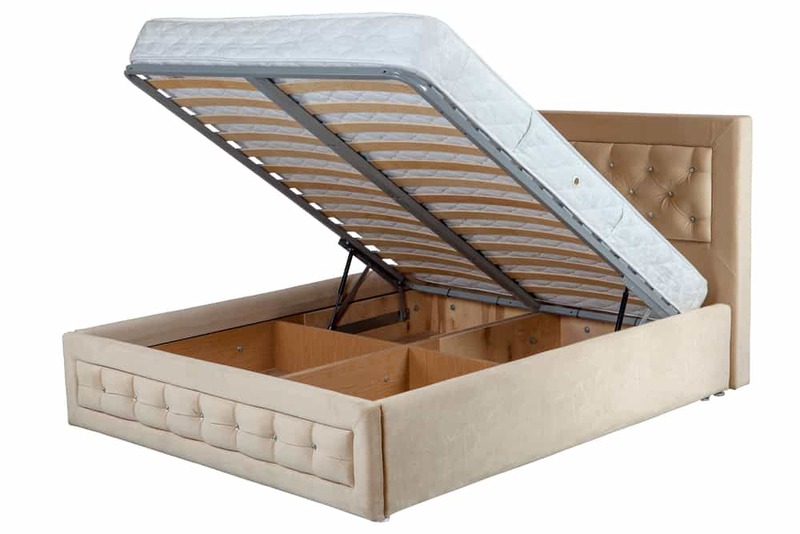 When you’re not, the bed (usually a twin or full but sometimes larger) flips up on its headboard to fit into the storage unit. This makes the room look great and less like a guest room. These types of beds are designed to be a bed but they ‘face’ sideways compared to a standard bed. There are three sides to the frame instead of just a headboard and footboard (there’s a side as well). You’ll still lay in bed the same way as you would otherwise, but it looks similar to a sofa bed (without the cushions on top) when you’re not using it for a more casual style. It’s usually only the size of a twin size bed (though it may even be smaller depending on the style). 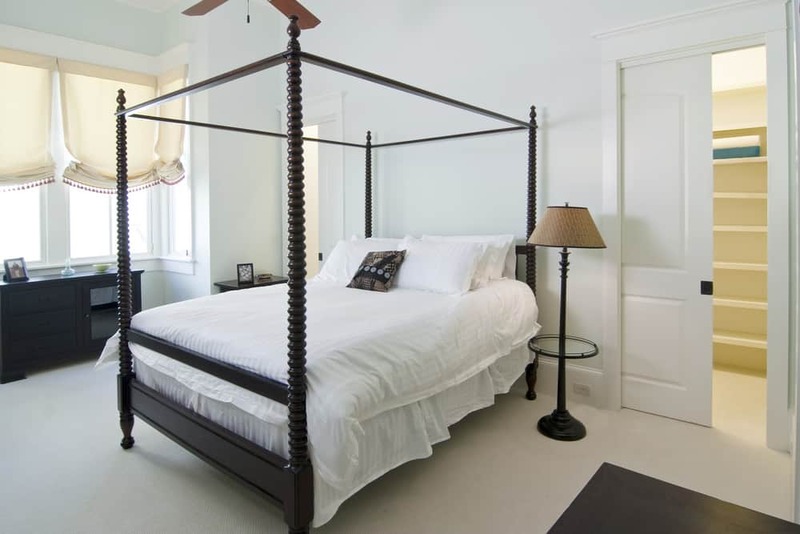 A standard four-poster bed has poles that come out of each corner. 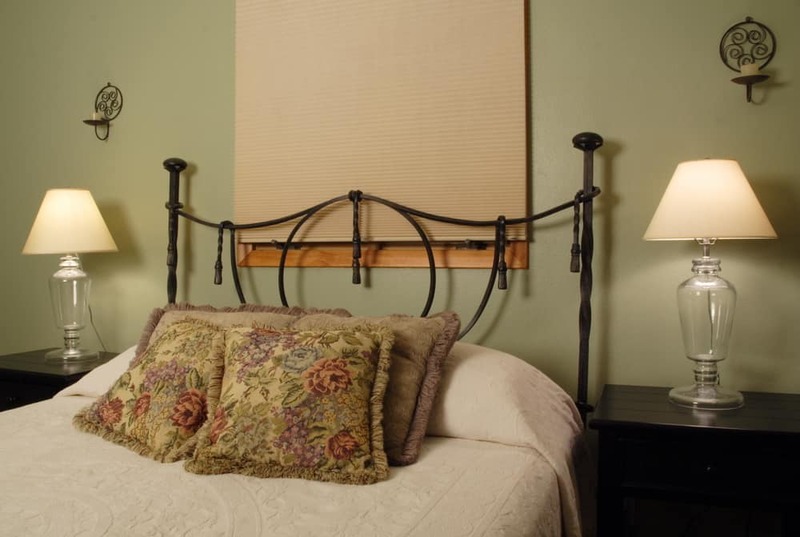 The headboard and footboard may be simple or elaborate, but the poles are the main point. They can be designed in a number of different ways with elegant or simple decorative aspects. Sometimes there will be bars across the top of the poles and sometimes there won’t. 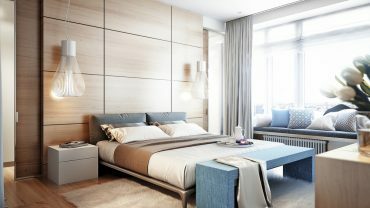 These types of beds can also be made with different materials, though they’re more commonly wood. Not to mention you can get it in any size you want because they’re popular with adults and children. Designed in any size, the pencil poster has four poles that stand up around each corner and each one is very thin. 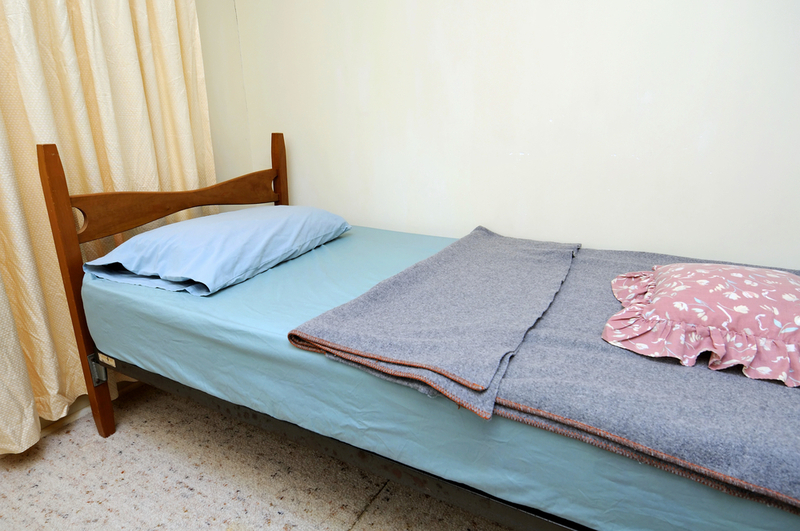 The main point on these types of beds is that they are pointed at the top. This means that the decoration all the way down the poles can be varied. The headboard and footboard can be just about anything at all. 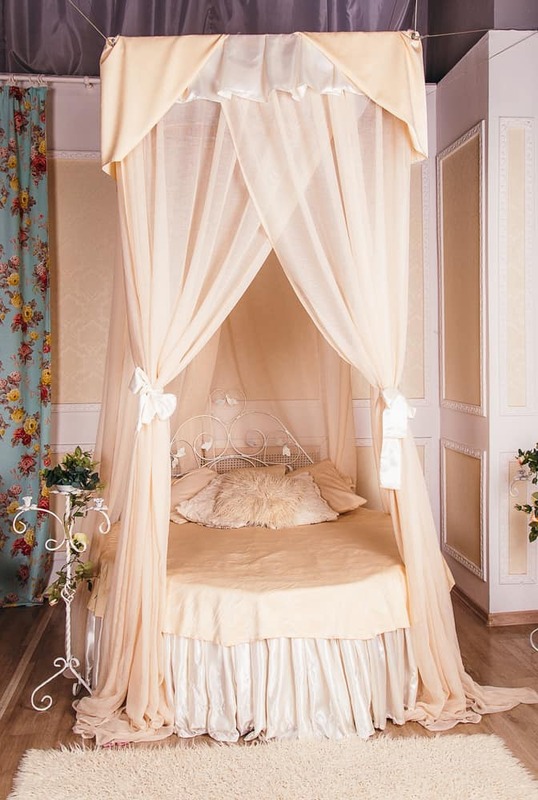 A traditional canopy bed is a style that you’ve probably seen a number of times before. 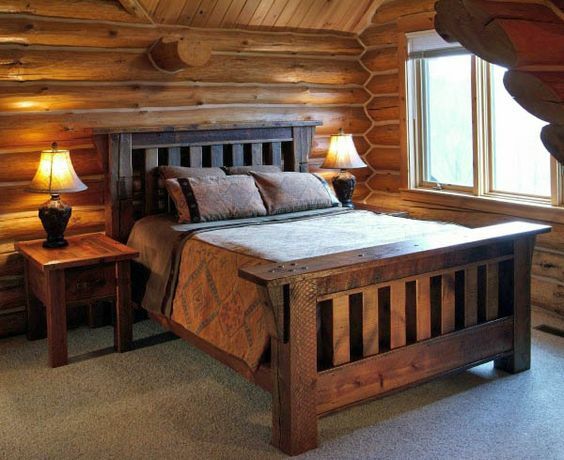 This is the bed that has large posts on each side that are generally somewhat imposing and decorative. The bed is usually made with wood, and quite heavy wood as well. This is what gives these types of beds their elegant style and appearance. The frame over the top may be quite elaborate as well and may act as sort of a roof. This could be instead of being a frame for a curtain to be draped over. Popular with children and adults both, a canopy bed of any design can be found in any size at all. A contemporary canopy bed has a thinner frame. It doesn’t have a lot of decorative accents because it’s thinner and more modern looking. It’s usually made with wood posts and perhaps a platform that the mattress sits on. These types of beds even have bars across the top so the posts actually form a box all the way around the bed. Again, it’s usually a little less decorative, though it can be a large or small bed. Though it’s not exactly a type of bed, these canopy beds are generally made with metal poles, which may or may not be decorative. 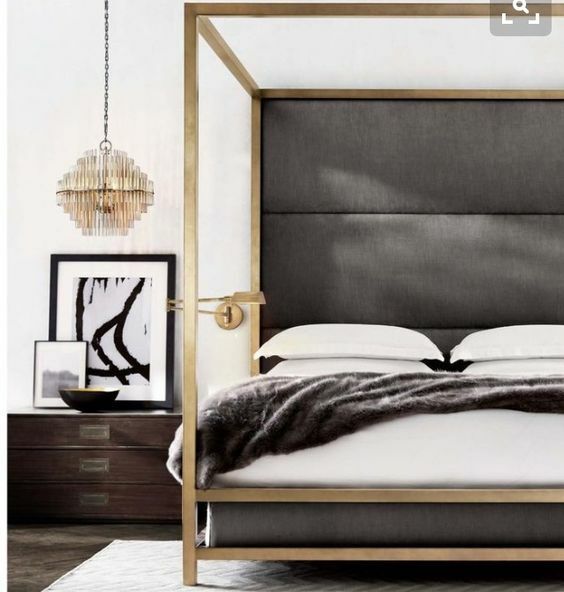 They generally fit the style of a contemporary canopy more than a traditional as the metal is more basic in general, but they can still be nice for rooms where cost is a little more important (even if you want a larger bed) or you want something mixed between modern and more basic. This fits into the canopy family because it technically has a canopy of its own, but it’s something you may not have seen much yourself. That’s because these types of beds were actually quite popular in the Victorian era. Instead of having a full canopy over the bed it actually has a half canopy that connects to the headboard. 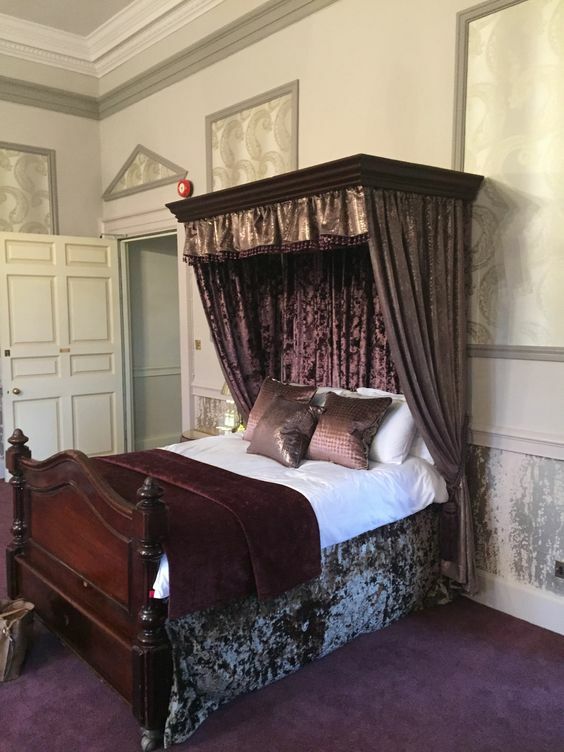 In older times these would be quite elaborate headboards and you may have seen some of them in movies as the types of beds designed for royalty. Of course, it probably looked huge in the movie because they’re usually larger beds (though you can get small ones if you prefer). If you’ve ever stayed over at someone’s college dorm you may have slept on a futon. These ‘beds’ double as couches, though not very stylish or comfortable ones. The frame can be metal or wood but it’s usually quite basic (since you don’t see much of it anyway). Then it’s covered up with a single flat ‘mattress’ that’s soft and usually about the size of a twin bed (or maybe a bit smaller). When the futon is being used as a couch the mattress is pressed into a couch shape. When it’s not, the frame can be slid out so that the mattress lays flat. It’s great for space saving, but the comfort level … well it’s questionable. 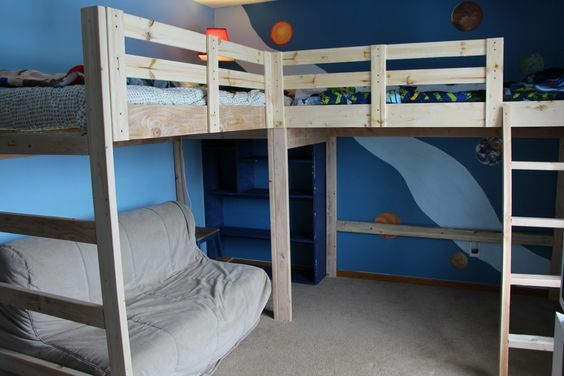 A bunk bed has long been popular in children’s rooms, whether they have siblings or not. That’s because when children share a room these types of beds over a bed can save space for their other stuff. When they have friends it can be a great option as well. With a traditional bunk bed the beds are both the same size (usually twin) but the frame of the bed could be made of wood or metal or even some type of composite. It may be large with actual stairs up the side (becoming more common) or it may be small with a ladder at one end. 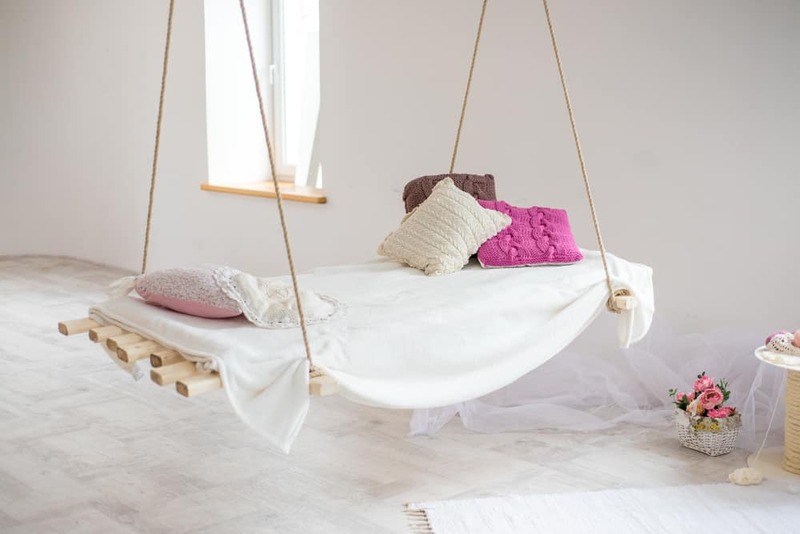 These kinds of beds can be a lot of fun for children as well. This type of bunk bed is unique in that it has two beds at the top. The beds connect at one side (though they have their own separate rails) to form an “L” shape and may have another bed under them or a futon. With this type of bunk, you could, theoretically, get four beds into the space of two. That can definitely save room if you have several children and a small house. They generally only have one set of stairs or a ladder however, so you’ll need to get them at least to share the way up. You’ll also usually have two twin beds. 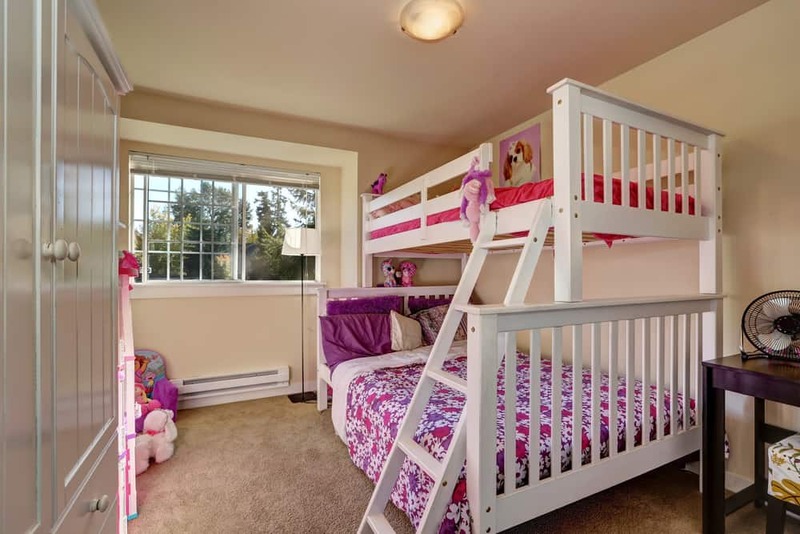 Though combining a twin and a mismatched bunk could get you two twin beds on the top and two full size on the bottom. 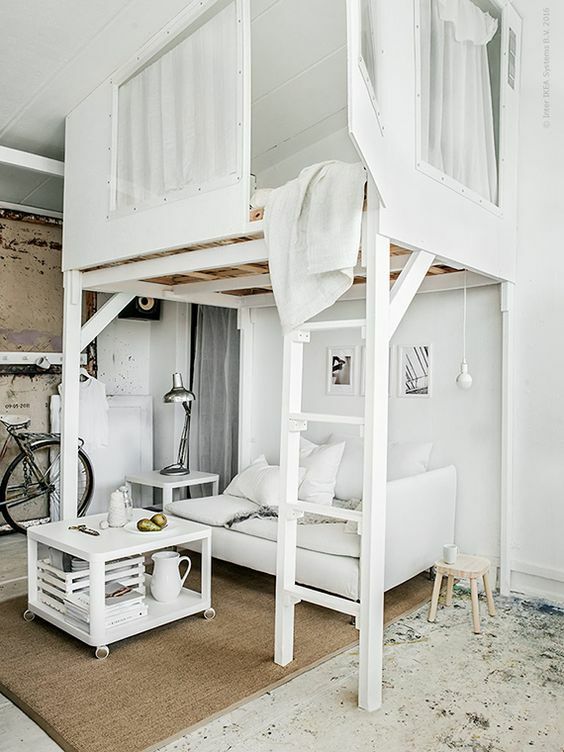 For those children and teens who don’t have a lot of space in their room but still want a desk and a bed, a loft can be a great choice. This bed stands up on stilts and has either an open space underneath that you can use for whatever you want or it has a built in desk under it to maximize space. Older teens tend to like this because it gives them more room to study (when they actually want to study anyway) though the bed is somewhat small since it’s usually only a twin. Who doesn’t need more storage space in their bedroom? 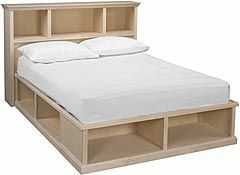 With this bed there’s a box underneath similar to a standard platform bed, but unlike with a platform, the bed can be raised up on hinges with this one. The box underneath is then hollow and you can store whatever you want under it. It’s great for kids rooms, guest rooms and even dorm rooms. Anywhere you don’t have a lot of excess space is good and what’s better is they can be any size at all. These are definitely fun but there’s not really a ‘size’ component to them. These beds are a thin mattress that literally hangs from the ceiling. You can get the pad in any size you want and then it uses thick ropes to hang it so you still get space in your room and a bed. It’s usually only hung a little off the ground so it’s not going to give you space under it except for storage. The bed styles available vary as much as the people who use them and that means you get all kinds of options for your next one. Bed styles have a lot to do with the frame and accessories for your beds such as colors, textures, and pillows. Very modern in style, a contemporary bed can be unique because it’s shaped and designed with the most modern styles and shapes. These kinds of beds aren’t the same as modern beds because they’re not necessarily Spartan. This is where you might find round beds or other unique aspects you’ve never noticed before. Designed to be somewhat more old-fashioned, these beds may have a little bit of decoration to them but not a lot. They’re usually made with wood and will usually have at least a little bit of accent to them such as a swirl to the headboard or a couple accent pieces of wood. This makes them different from modern style, but there’s not a whole lot to detract from the rest of the room. 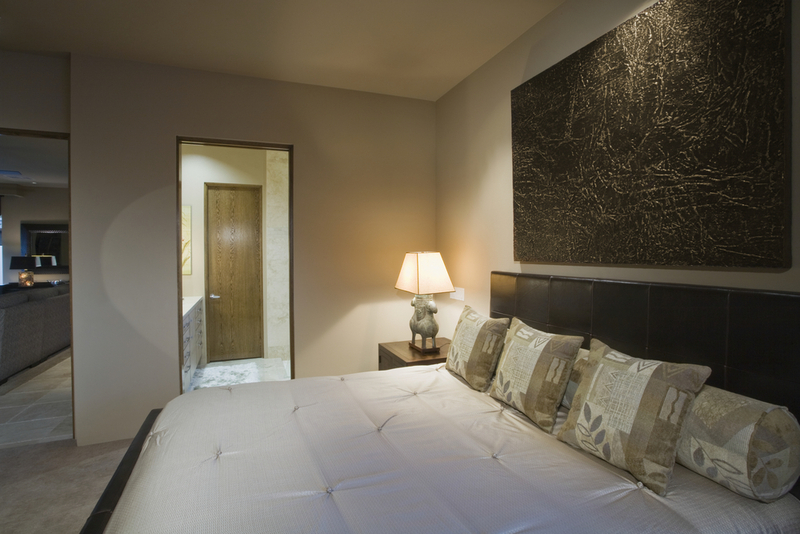 Often seen as very Spartan, modern style beds are generally not as decorative as others. Instead, they have a basic frame that is usually thin and/or flat. 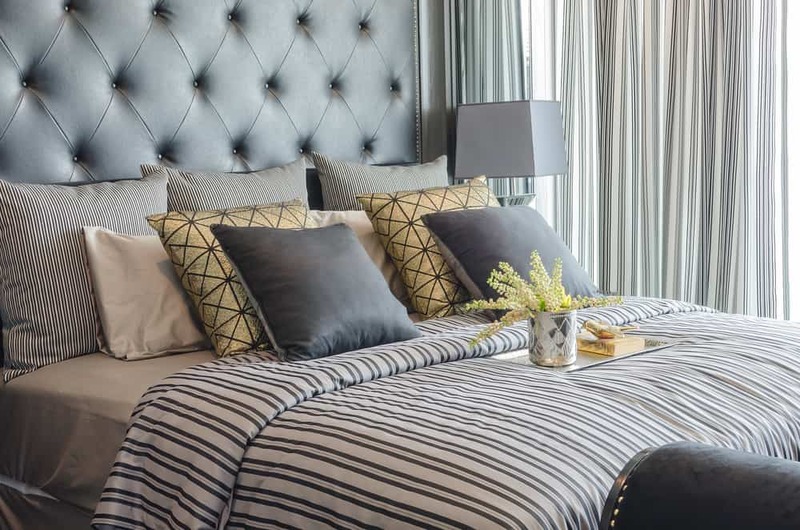 You may get a little bit of decoration to them, but it’s generally not going to be too much more than what’s needed to give your bed a headboard and footboard (and sometimes not even that). Mission style beds are quite basic actually, but in a different way than modern. These types of beds are usually made with panels or simple slats of wood that form a standard pattern. A bed that has poles through the headboard or footboard is generally mission style. They’re almost always wood and maybe stained to emphasize the grain of the wood (more common) or painted (less common). A cottage style bed is somewhat old fashioned. It’s almost always made of wood and that wood (at least on the headboard) is almost always painted. It may be simple white or it may be an actual design or even carvings. They can be somewhat simple, but they’re definitely unique. 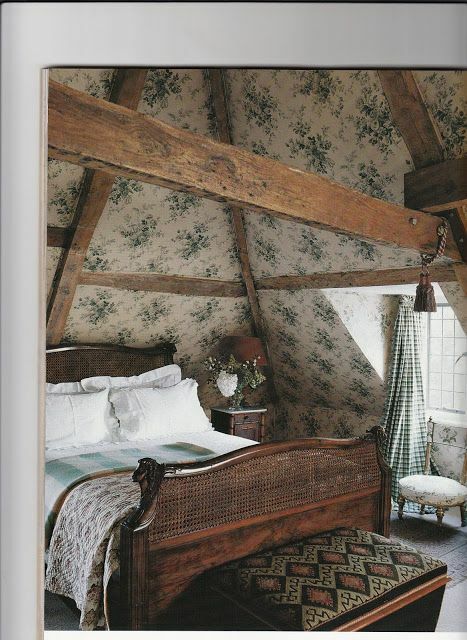 Not to be mistaken for a cottage bed, country beds are rustic in design but don’t have the painting style to them. They may be made with wood panels or wood logs and could even have posts or other accents to them. They usually will not have the paintings and carvings popular with a cottage style. Vintage can be a take on absolutely any era, but it’s something that is intentionally designed to look like it came from that era. 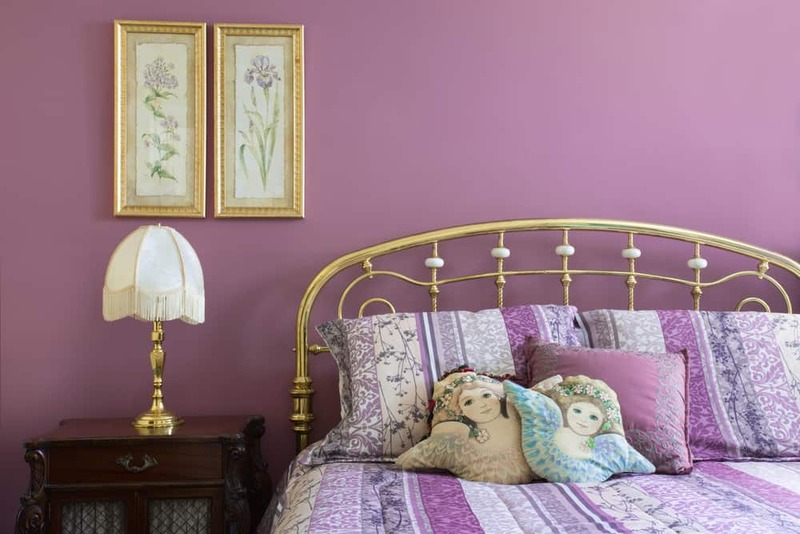 You can choose the 1900’s, the 1950’s or anything else you want but the bed is designed to look just like the fashionable look from that time period (like wearing bell-bottoms or poodle skirts, but for your bed). 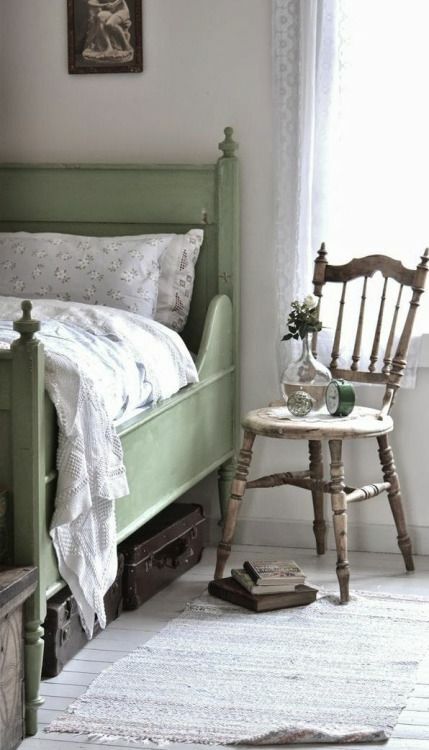 These kinds of beds are harder to come by, but a great option if you like a vintage style in your home. 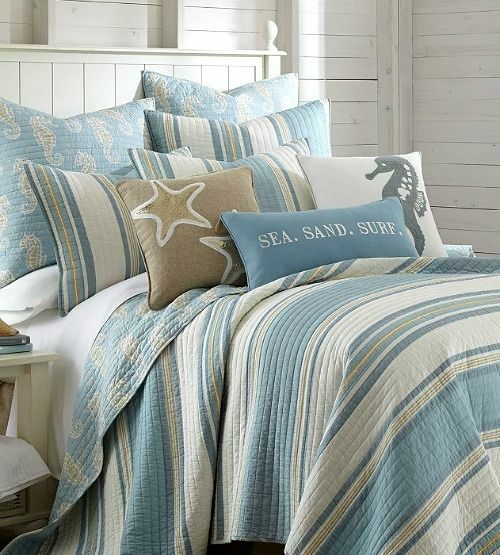 If you think your bed reminds you of being at the beach, you probably have a coastal style. It’s more simple but it has a fun appearance to it at the same time. 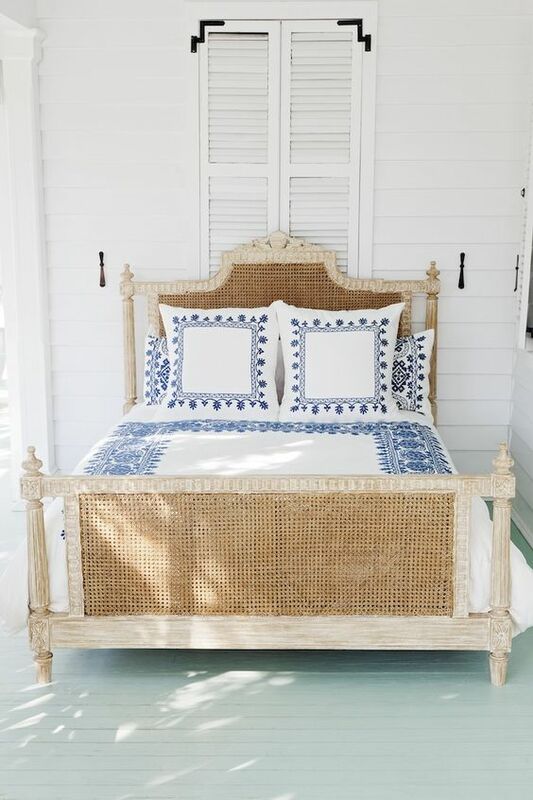 You get a beach feel and that comes from a wood bed that may use slats or other appearances of being in your own beach house. 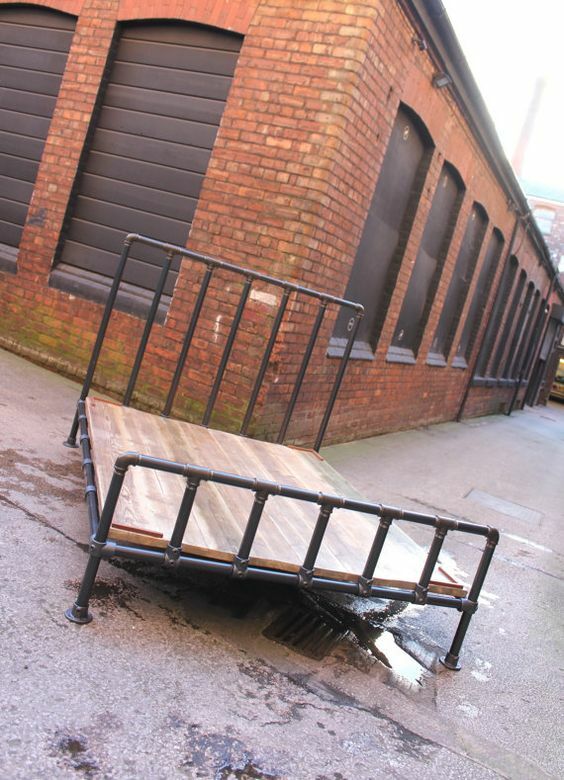 Industrial beds tend to be made out of metal and are usually going to be quite basic. The industrial look doesn’t leave a lot of room for frills or extra pieces. It’s quite utilitarian, nice but mostly functional. If you like exposed metal then this could be the ideal option for your room. These kinds of beds can be a great DIY bed project for those that like to get their hands dirty. 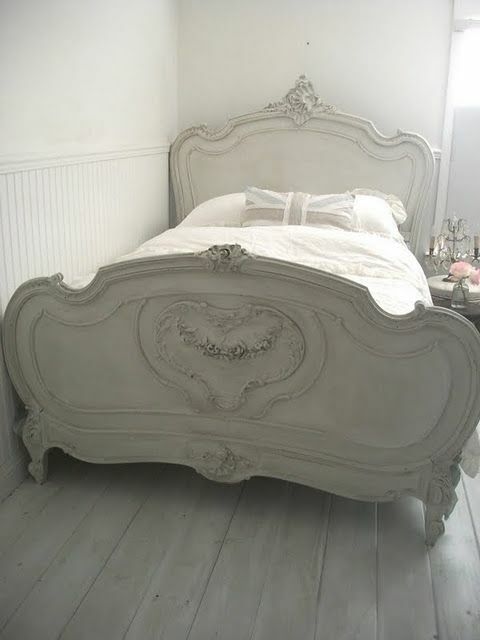 The French bed style is romantic and elegant all at the same time. They are usually upholstered beds but might not have a lot of the tufting that most do. These kinds of beds may just feature a solid material with some accents and buttons around the sides to create a casual and romantic look. slumbersage.com for info on box springs and foundations. wikipedia.com for the history of bed and mattress sizes.